You can book your room here. The group rate is $227/night with some upgrades available. Please book by September 25. The Association of Rotational Molders brings together hundreds of rotomolders and their suppliers to learn from one another, troubleshoot, and network. Molders call our Annual Meetings "the most informative conference" they have ever been to and they report that solving one problem can pay for the meeting registration many times over. First time attendees report they were "made to feel very welcome" and the meeting is "exceptional for me in meeting key players in the industry." Al-Cast Mold & Pattern Inc.
Axel Plastics Research Labratories Inc.
ICP Adhesives & Sealants, Inc.
Shanghai Young Mould Co. Ltd.
Wenling RisingSun Rotomolding Technology Co. Ltd. Registration information will be available in Spring 2019. 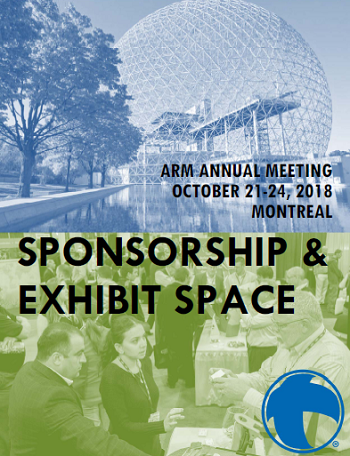 Sponsorship opportunities and exhibit space are now on sale. Don't miss this opportunity to set your company apart, raise brand awareness, provide additional value to rotomolders, and support the rotational molding industry. Please contact Staff if you don't see the sponsorship you're looking for or if you would like to bundle sponsorships. Sponsoring companies will be given priority exhibit space followed by non-sponsoring companies in the order their contracts are received. The 2018 Schedule is below. The 2019 schedule will be available in late Spring. The hotel is located in Houston's bustling downtown area just steps from Toyota Center, Discovery Green Park, Minute Maid Park and BBVA Compass Stadium. The Bayou Place entertainment district includes the Bayou Music Center, Alley Theater, Jones Hall and Hobby Center for the Performing Arts. There are also added amenities of two restaurants, a lobby bar, Starbucks and a full-service spa and health club, all under one roof. ARM's discounted rate is $227/night with some upgrades available. You can book your room here. Please book by September 25..